Fake a ninja attack at home with our shuriken ninja coat hook or just use ’em to hang coats and towels, it will look awesome none-the-less! 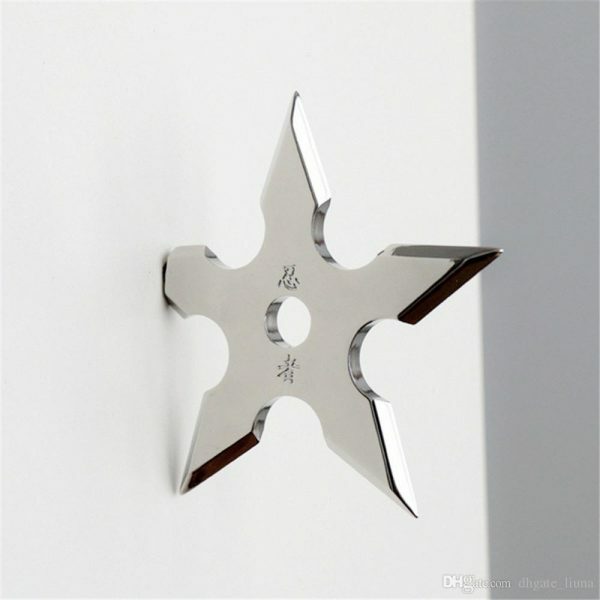 The shuriken ninja coat hook will transform your hallway into the scene of a Shanghai back street stand-off. Each metal Ninja Coat Hook has one corner cleverly engineered into a screw, which allows you to fix securely to your wall or door, whilst making it look like it has been hurled from the hands of a deadly Ninjitsu assassin. 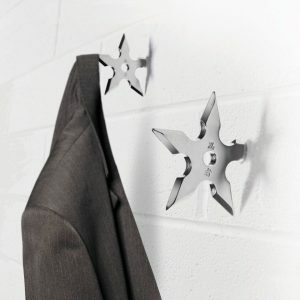 You will certainly cause a stir with your guests as they go to hang up their coats (or jackets or just anything); as each of our shuriken ninja coat hook is designed to look like the real thing, right down to the razor sharp looking edges – which are of course nice, smooth, coat friendly hanging points – but you don’t need to inform your guests of this fact. So stir up fond memories of Big Trouble in little China with some deadly Ninjas, and add some cutting edge design to your home. A Shuriken is a Japanese concealed weapon that was used as a hidden dagger or mitsubushi to distract or misdirect. 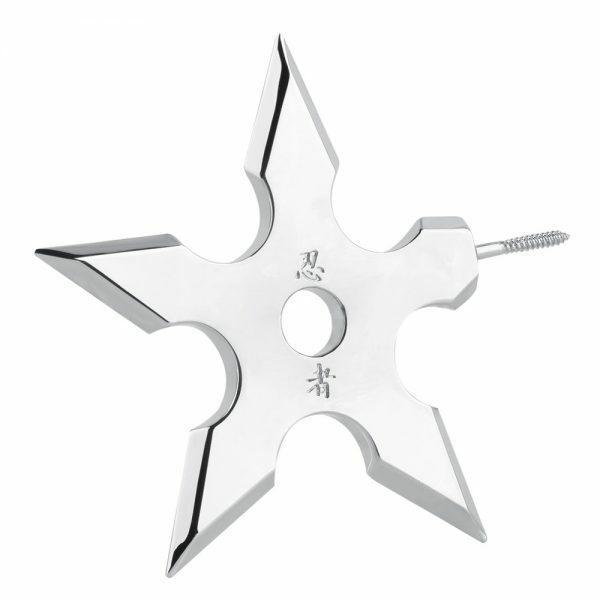 Shuriken came in a variety of forms; some were manufactured, while others were improvised from tools. Made of stainless steel,practical and durable. Used as a coat hanger, installed on the wall in bathroom, bedroom or living room. Perfectly styled like a Ninja Shuriken Star, bright shiny chrome finish. Looks sharp, but is coat friendly, easy to fix using ingenious built-in screw. Perfect for martial arts fans, wannabe Ninjas, and anyone who loves something different!